Are you a vintage bride looking for the perfect pillbox hat? Jackie O made wearing a pillbox hat into a fashion statement that feels as modern today as when she first wore one. 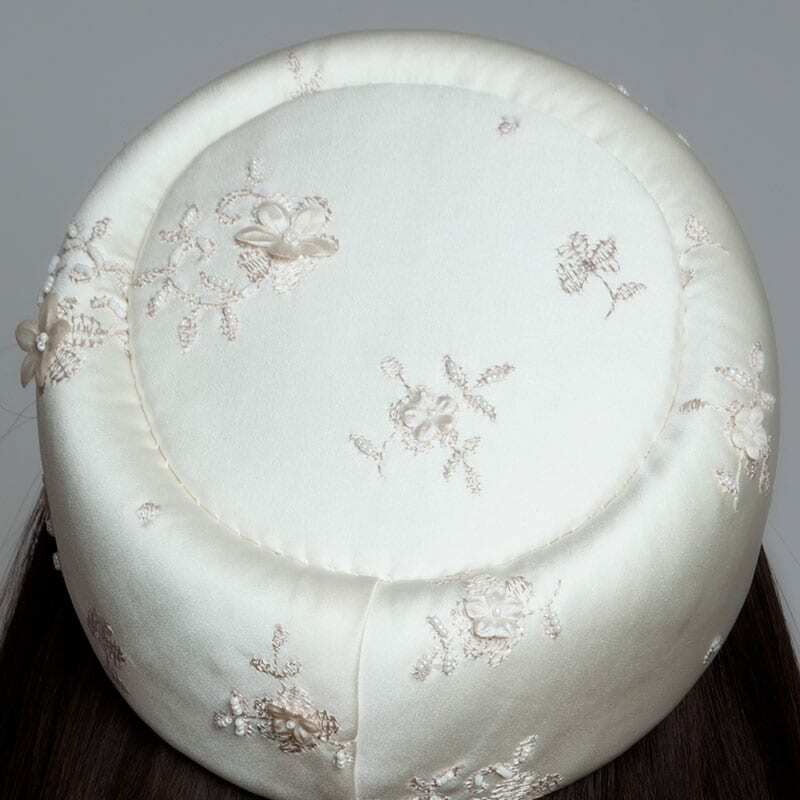 This vintage inspired pillbox hat is expertly created in luxurious bridal silk. The fabric is embellished with dainty flowers and crystal beads. The hat features two metal combs so you can easily secure the piece to your hair. The pillbox hat measures 8″ in diameter and 2.5″ tall. Once you place your order, you’ll receive an email within 48 hours explaining how to take your head measurements. You’ll want to know how you’ll be wearing your hair before you determine your head size. A rule of thumb is that a classic pillbox is approximately half a size smaller than your regular head size.